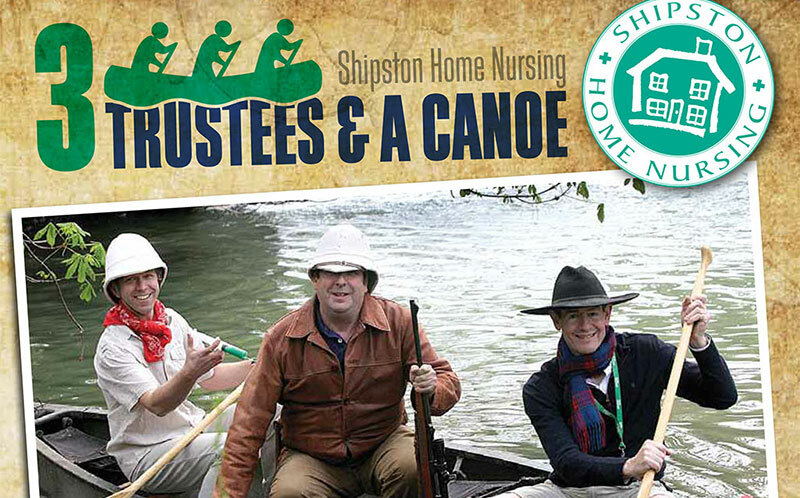 Please support our 3 Intrepid Trustees and William Dockar – Drysdale on their adventure from the source of The River Stour to Stratford upon Avon. William Dockar-Drysdale will be joining the canoe crew. “With “Livingstone” Spirit, David Williams (a GP at Shipston and who used to work in the Amazon), Jeremy Wiggin (Adventurer and survival expert – Like Bear Grylls! 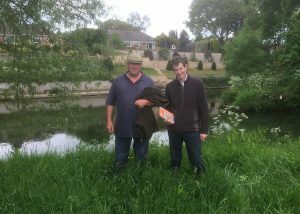 ), Simon Miesegaes (Honington All Saints Church Treasurer and RAF Reservist) and William Docker-Drysdale are setting out to walk and canoe from the source of the River Stour at Wigginton Heath to the point where it joins the River Avon just South of Stratford-upon-Avon. And why? 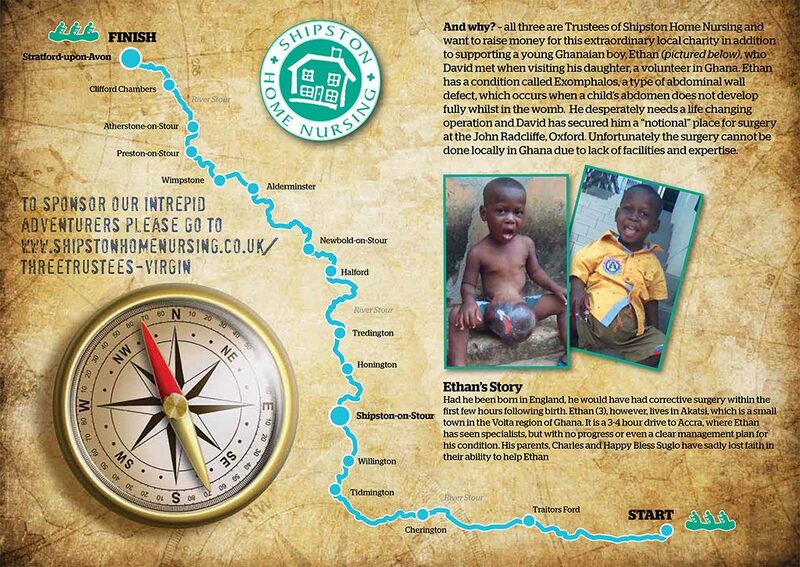 – Three are Trustees of Shipston Home Nursing and want to raise money for this extraordinary local charity in addition to supporting a young Ghanaian boy, Ethan (pictured below), who David met when visiting his daughter, a volunteer in Ghana. Ethan has a condition called Exomphalos, a type of abdominal wall defect, which occurs when a child’s abdomen does not develop fully whilst in the womb. He desperately needs a life changing operation and David has secured him a “notional” place for surgery at the John Radcliffe, Oxford. Unfortunately the surgery cannot be done locally in Ghana due to lack of facilities and expertise.